Beloved, Greetings! 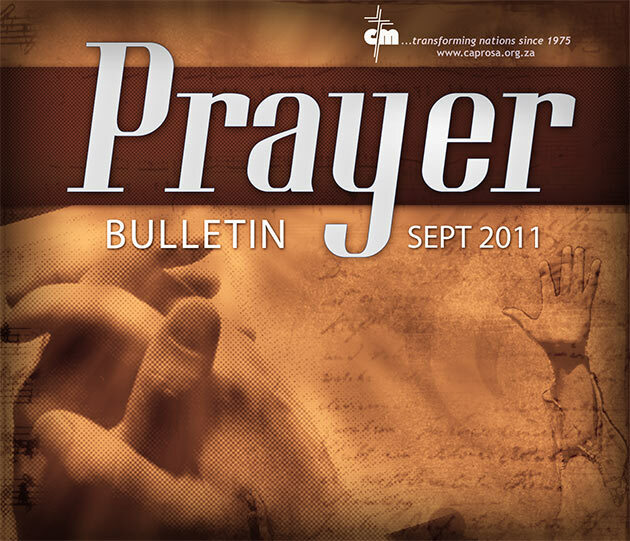 Attached is CAPRO SA Prayer Bulletin for September 2011. Needless to say, your prayers are our greatest need in this work as we seek to occupy till He comes in this region. All we need is a minute or two of your time daily to lift up this items. It is meant to be printed out and folded into four so it can easily be inserted into one’s Bible to use at quiet time. Please feel free to forward it to those believers on your mailing list. And let us all individually use it to pray in our family altar and quiet time too. I am really excited about the possibilities of what your prayer can do.